The Tennessee Wind Symphony (TWS) was founded in 1991. It presents a year-round series of concerts in a wide range of venues. It is dedicated to excellence in symphonic band performance and to providing quality band music to the people of Tennessee and the surrounding area. In addition to a regular schedule of concerts in East Tennessee, the TWS has performed in Washington, DC, London, England and twice at Carnegie Hall, New York, NY, and has received numerous awards and acclamations. The TWS was the 2007-2008 recipient of the John Philip Sousa Foundation Sudler Silver Scroll, North America’s most prestigious award for community concert bands. 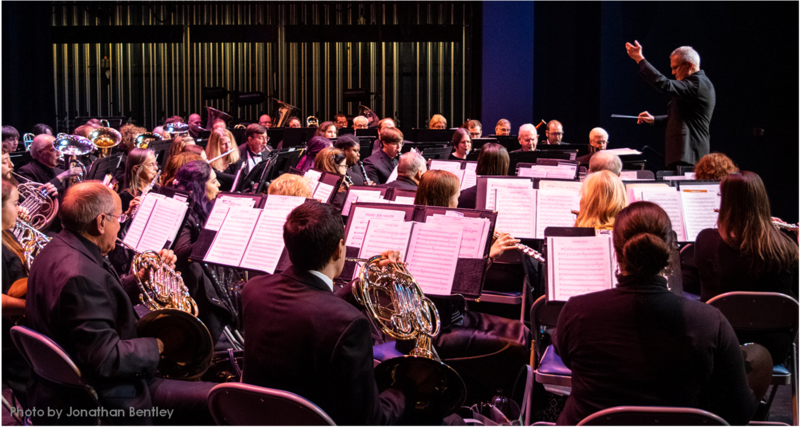 The Wind Symphony typically provides admission-free concerts, being a not-for-profit 501(c)(3) corporation chartered in the State of Tennessee, and funded entirely through corporate sponsors, donations, and membership. If you would like to make an individual donation for any amount using PayPal or your credit card, click the Donate button at the top of this screen. To donate via check, please click Contact Us and fill out the brief form for further instructions. The Wind Symphony is an incredible opportunity to continue playing quality repertoire beyond your “school band” years. If you play a band instrument to a reasonably good standard and you are interested in becoming a member, please reach out by clicking Contact Us and filling out the brief form. You can be sure of a warm welcome. Equally, use Contact Us if you would like to schedule the Wind Symphony for a concert. The music selections and ensemble size can be tailored to your tastes. Each year, the Wind Symphony designates one of its concerts as a Rising Star concert featuring one or more superiorly talented high-school musicians from the East Tennessee area. Rising Star musicians are selected by TWS members. Students may perform and rehearse with the TWS throughout the year, as school band activities allow. Rehearsals are held on Tuesday nights. Please check our Calendar for location and time.